Good Morning! I hope you had a fabulous weekend. I did. It was pretty much quiet and very low key. It rained all weekend long so I stayed very low. I am not certain if I am going about this application process the right way for My Time Made Easy, but I am definitely giving it a go. Lauren and her team are doing a call for the sketch team and you all know how much I love sketches. The call requires you to participate with each challenge for the month of October. So here's my first card using Sketch #29. 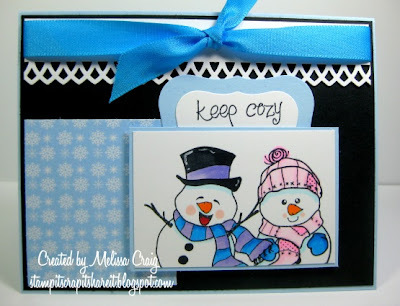 This card features the adorable snowmen from The Greeting Farm set Warm Wishes. 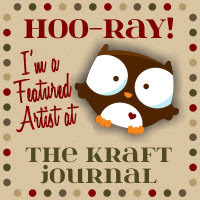 It also features some really cute digi paper from My Time Made Easy. This second card is for Sketch #30 and for the fun of it, I added MTME's Pretty Palette challenge. The colors are Artichoke, Celery, Melon and Daffodil. I did as close to those colors as I could. I think my card is really pretty. I had so much fun playing along with the sketches and the color challenges. 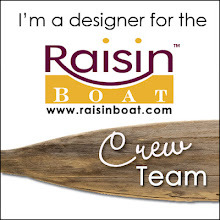 Now to figure out how to apply! Wish me luck. Have a super Monday. Oh, and if you were here to see a challenge card for Paper Pretties, there isn't one this week because today is a new release. 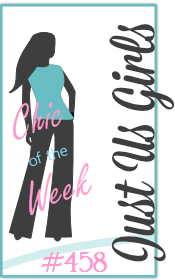 You've probably seen the sneak peeks, but if not... click HERE. These are so pretty, Melissa, and you are applying correctly for the sketch team! 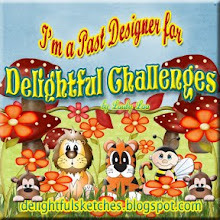 Good luck and thanks for playing our Pretty Palette and Pattern challenges! 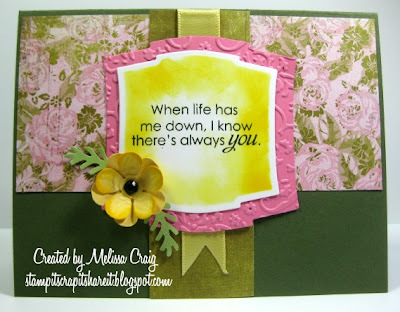 Melissa, this is gorgeous...love the background paper you used! Thanks so much for playing along with us at MTME Pretty Palette! 2 great cards Melissa! 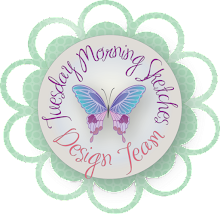 Thanks for playing along, once again, with the MTME Pretty Patterns sketch team and for your interest in being a part of our team! Love the shape of the frame and pretty paper for this week's MTME pretty palette! Thanks for joining us!